The Product Review Pages contain my impression of a variety of RV products that I have used. Some people may not agree with my conclusions. Others will find that it helps them in making a choice from among several similar products. There are many people with motorhomes who are towing cars without being able to make use of the vehicle's own braking system. I'm a firm believer that eight wheels braking are going to be better than just four. You will stop quicker, and with less wear on the motorhome brakes. In many places it is the law. You must be able to apply the brakes in the towed vehicle if it is over a certain weight. This weight varies from province to province, but chances are that the weight of the towed vehicle is greater than that allowed. Some motorhome manufacturers require braking on the towed vehicles as well. The Brake Buddy system has been reliable for me for several years. It is easy to set up. Just lift it into place, clamp it to the brake pedal with a new quick release clip, plug it into the cigar lighter and you are almost ready to go. The new Vantage Select model offers a choice of Full, or Proportional braking. Proportional braking brakes the towed vehicle according to the braking effort of the Motorhome. Full braking takes the full weight of the towed vehicle off the motorhome while braking. Their Diagnostic Remote lets you select between them while driving.You can adjust the sensitivity of the braking as well as the intensity which means you can set it up for a light car, or a heavy car. The Brake Buddy Vantage Select provides diagnostic information and will let you know when the brakes are being used in the towed vehicle. A small transmitter sends a signal to a receiver plugged into the cigar lighter of the motorhome. A red light glows if the brakes have been activated.You can set the sensitivity of the Buddy so it reacts easier, but I prefer to have it less sensitive. The Brake Buddy Stealth: In the autumn of 2014 I installed the new Stealth on a Jeep Cherokee. The Stealth provides braking without the box in the way of your feet. After 7,000 miles of towing the car to California, and back, I have to say that I'm really impressed. It has made hooking up easier, and not having a box in the footwell is great when you have to get into the car for any reason. Its response to braking applications from the motorhome seems to be immediate and flawless. The controller in the motorhome will let you test the brake to be sure it is working, and you can adjust the sensitivity right from your driving seat. This is a really great braking device. I do a lot of mountain driving, and on steep grades, it's nice to feel the extra tug from the back when you apply your brakes. It's really great when you come upon a signal light on a fast road. When one of those turns yellow and red, you've got to stop fast. Brake Buddy is a real pal. Swaying and loss of control can be a big problem with some motorhomes. To achieve stability RoadMaster has developed very strong anti sway bars. 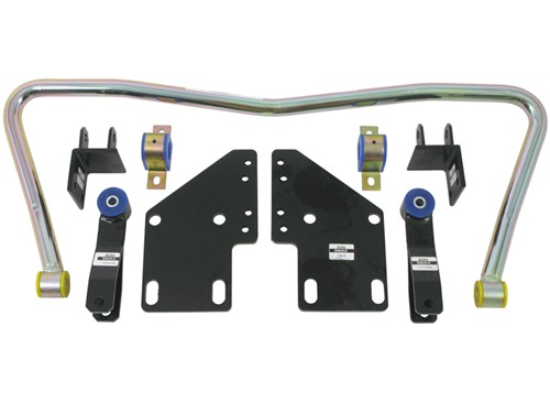 When these are applied to the front and rear of your motorhome they act as a connection between the frame and the suspension and offset the potential shift in the motorhome caused by side winds, passing trucks, and uneven road surfaces. These bars are stronger than the original bars that came with the chassis, and offer substantially more resistance to sway. Look at the Roadmaster Website to see the wide assortment of anti sway bars available. When you hitch on to a vehicle you are creating a situation where you want the safest possible setup. If at all possible vehicles should be towed with all wheels on the ground. The worst of all possible choices for complexity is the vehicle sitting completely on a trailer. Next in line is the car with one set of wheels in a dolly. I've seen one dolly where it was impossible to keep the car wheels lashed down. The possibility that the car could come off the dolly is a scary thought if you are behind one of these. With both of these trailers you have to find a place to store them when you get to your destination, and sometimes there is very little space available for a car, a motorhome, and a trailer. The easiest way is to tow the car on all four wheels. There are vehicles where this is not possible, but many vehicles with automatics can be fitted with an electric oil circulating pump that keeps the transmission lubricated. The Aladdin Tow Bar from Blue Ox is a strong, lightweight, tow bar that plugs into the receiver on the motorhome. It is a category III tow bar for up to 2200 kg. It does not fit over a ball hitch. Fit over ball hitches have the potential for popping off the ball when entering or leaving areas that have bad dips. The Aladdin can rotate up and down, and sideways, and can't pop loose. 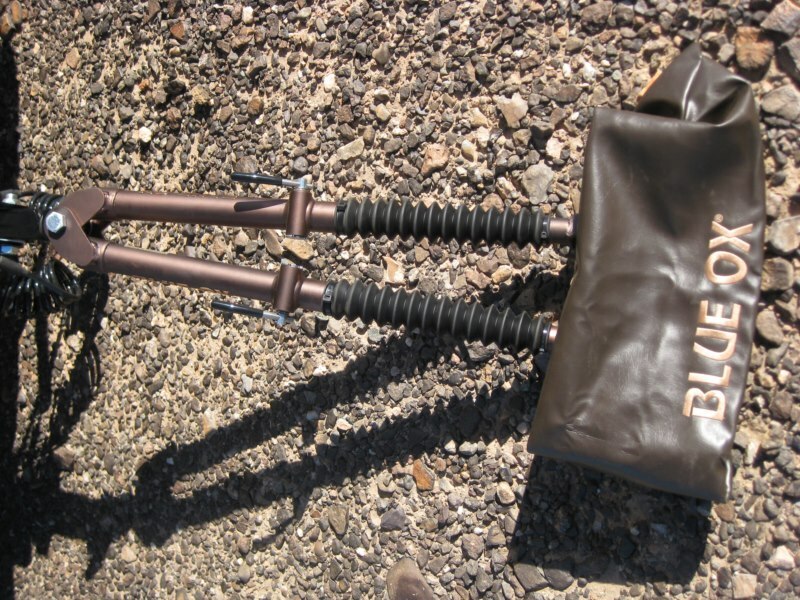 The Aventa LX is designed with a ball-in-socket attachment at the RV end. This reduces wear and maintains a strong connection. This is a Class IV tow bar for towing vehicles weighing up to 4500 kg. Both models can be adjusted for length when you are not quite in the right place for hitching to the car. When not in use they fold up against the back bumper. The Acclaim Tow Bar is one of the better designs in the towing industry. With the 'easy release' locking handles you'll be mightly pleased when you try to unhitch in a location where you are not perfectly straight. They unlock so easily that you have to make sure to put the car in gear, or set the emergency brake, before pressing them. If you are on a slight downslope, the car will roll ahead. Always be aware of this. When the tow bar is folded up it slips over self storing tow bar mounts. This tow bar is a little longer to accomodate the fact that many hitch points on newer cars are wider apart. The extra length helps keep the car away from the motorhome on sharp turns. The Acclaim has all the good attributes you've come to expect in a Blue Ox tow bar, plus the easy unlatch feature. Anyone thinking of adding solar power to their RV, or increasing what they already have, could not go wrong by selecting a Samlex Solar Kit. The basic kit has everything needed to set up a basic installation. In the kit you will find a solar panel, a first rate charge controller, wires and the hardware to mount your panel to the roof. You can get charge controllers from 8Amp to 30Amp. If you plan on more panels in the future, purchase the SCC-30AB solar charge controller. it will protect your batteries from over charging, can handle several types of batteries, and will accept a Battery Temperature Sensor. The design of the charge controller allows it to use PWM or Pulse Width Modulated charging. It provides 4-stage charging and automatic equalization. If you take your RV away from the hydro lines it's nice to be able to keep your batteries charged. You could use your generator. The problem is, generators are abhored by a lot of campers, with good reason. They go to a campground for some rest and relaxation, not to listen to someone's generator. 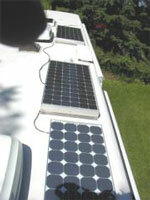 The alternative is to use one or more solar panels to supply the necessary energy. Solar panels are expensive, but should last for years with simple maintenance. It is necessary to install a voltage regulator to protect your battery from overcharging. Depending upon your needs, you might want to increase the battery bank to two, three, even four. 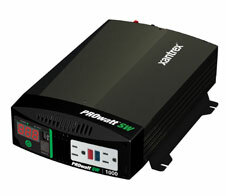 For some of your needs, you will need an inverter to change the 12v to 115v. I ran two new circuits to enable me to send 115 volt power to those appliances that are not heavy consumers of electrical energy, and they are ones I like to be able to use. These include the television and satellite receiver and some table lights. I'm going to change some circuits so that when my batteries are full, I can send the extra power to the refrigerator, or the water heater. It's a good idea to install all of these components in such a way that you can take them off easily when you trade. You can use the cheaper inverters for lights and appliances that use heaters. The cheaper units have a wave shape that can be damaging to delicate electronic circuits so I elected to go with a 1500 watt pure sine wave inverter.I don't have to be concerned that my laptop might be damaged by the inverter. It costs more, but should be worth it over the years. Go Power has an excellent RV Solar Guide catalogue which explains the workings of the solar panel and the parts..
For those campers who enjoy boondocking, you should visit this website. It's a unique blend of unsponsored boondocking locations and boondocking spots provided by ordinary campers like you. You are required to join their club and pay a modest fee to find out where these boondocking sites are... over 700 of them across Canada and the USA. In addition members can download a free "Boondocking in New Mexico" ebook. Sometimes it's nice to be able to know how steep a piece of road is. There are times when you have the feeling that your rig is losing power. Then it turns out that you were climbing a long imperceptible grade. If you had a inclinometer mounted in the cab you would have glanced at it and known right away that you were climbing. Camping can be expensive. 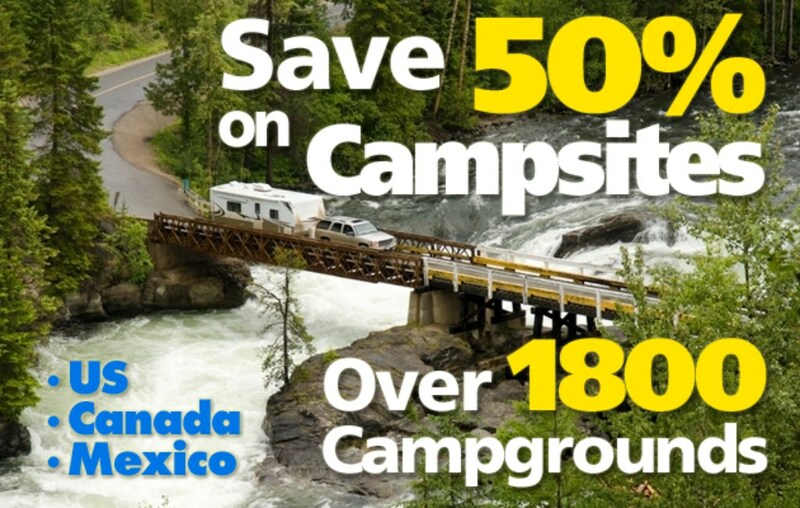 Cut the costs by using Passport America with 50% discounts in more that 1800 campgrounds. We've all been down that road. It's late, and we are looking for a campsite for the night. Passport America's Camping Directory can be right there beside you with lots of choices. One of the most useful tools in my fixit drawer is the megapro screwdriver. I picked up one of these a few years ago, and it's been great. I like its storage area for bits. There is always one there when I need it. The screwdriver's colour is easy to see, so it's less likely to get lost. This has proved itself as a very handy tool. More good news from Megapro. It's the Megapro+ , 15 in 1, RV screwdriver set. This set is more than able to take care of the many unusual screw heads you will find in your RV. Look at the Megapro Website to see the wide assortment of screwdrivers available, and handy holster for ease of carrying the tool. 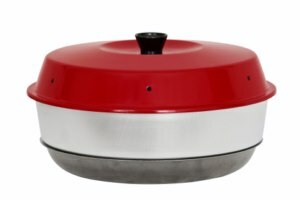 Don't want the bother of a satellite TV on the roof, then try this lightweight Dish Playmaker. More good news from Winegard. 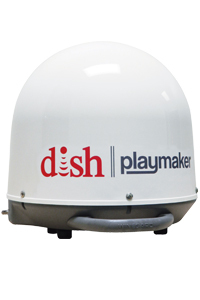 The Dish Playmaker is the smallest portable and is very fast. The Dish offers pay as you go TV, and is great for snowbirds who do not need a full year subscription. Look at the Winegard Website to see the wide assortment of satellite dishes available. We are so accustomed to seeing our tires balanced with weights fastened to the rim with a hammer that it's hard to visualize something taking the place of the lead weights. So let's move into the future, which is now, and see how Dyna Beads when placed inside the tire can do the job, and won't fall off on the road for someone else's tire to run over.These strong ceramic beads continuously move about the tire keeping it balanced, as you drive amd adjusting themselves as the tire picks up mud debris that could throw the balance off. 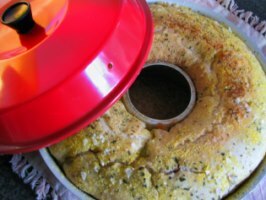 Do you like to bake and cook when on vacation, but don't have an oven? Recently we obtained the Omina Holiday Oven. I think you will like this. This is a small oven you place on top of a heat source. It can be an electric element on a stove, or a propane burner..
Did I mention that it's light and takes up very little space? With a little practice in getting the right heat settings you should find that this unique oven will cook most of the foods you make in your regular stove oven. We just enjoyed a delicious scalloped potatoes and ham that was well cooked, just the way we liked it. Look at the Omnia Website to see the wide assortment of uses for this oven. There are also recipes available. Tire pressure is a serious concern to all RVers as well as auto and truck owners. Tires that run soft can heat up and fail, perhaps causing an accident, with serious consequences to the occupants of the vehicle. An exploding tire can damage surrounding materials in the wheel wells. MinderResearch have the answer for this problem. Their TPMS TireMinder unit can be quickly installed and ready to keep you informed of the condition of all your tires, either on your truck and trailer, or your motorhome and the car it's towing. TireMinder lets you know when the tire is soft so that you can correct the situation. Soft tires waste fuel. With the TireMinder in place you can keep your tires inflated to the proper level and save fuel. If the pressure drops into a critical zone, TireMinder will alert you in time to take remedial action. Minder Research now makes it easier to set up the valve stem sensors by allowing you to carry the monitor to each tire in turn. Because you are close to the tire you get a quicker installation. Just imagine how much better you will feel knowing that the inner dual tire is at the proper pressure, or those tires way back on the towed vehicle are okay. Installation is as simple as placing a small pressure sensor transmitter on each valve stem which sends pressure information to the monitor on your dash. The monitor not only keeps track of the pressures in each tire, but also has a temperature alarm that sounds if the internal tire temperature reaches 167F. The TireMinder A1A unit is a good choice for RVs planning on towing a car. The batteries for the individual tire sensors are easily replaced and the company has a free lithium battery exchange programme. Good Product! Check out the product on the TireMinder Website. 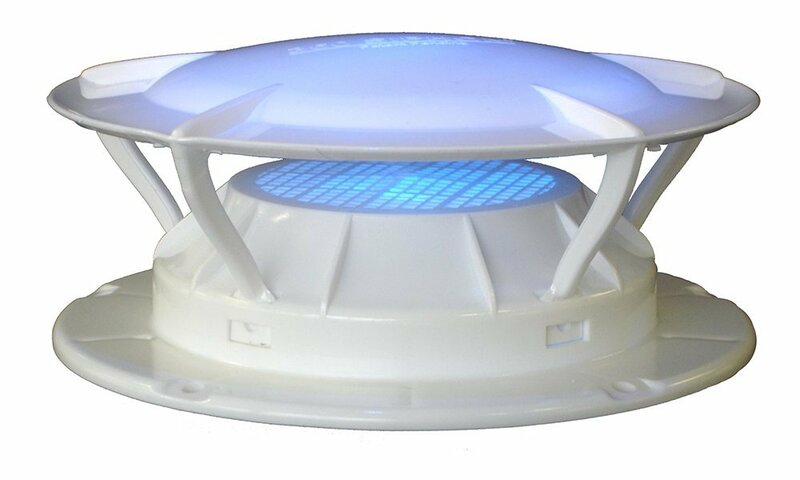 Many of us are familiar with the Fantastic roof vent. 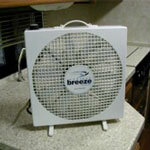 It's a quiet running, durable fan with many blades, and is appearing in many motorhomes and trailers as standard equipment. A newer addition to their stable of fans is the Endless Breeze, a 12v portable unit that is lightweight, and operates with the quietness we've become accustomed to. It comes with a plug for a cigar lighter port, and is easily moved to wherever you need some cooling, or some air circulation. I have used it to defrost the windows in a previous motorhome. In that Class A unit the heated defrost air took a trip through the unheated area above the grill. Since the tubes were uninsulated you can imagine how cold the air was when it hit a windshield already cold and covered with ice and snow. You can also imagine how poorly the windshield defrosted. We placed the Endless Breeze on top of the doghouse and blew the warmer air of the motorhome directly onto the centre of the windshield. The flow of air came back out across the side windows also clearing them and keeping my view of the mirrors free of mist. It could also be useful to take outside and place near your chair on a hot day. My HWH levellers have been bothersome from the beginning. The first problem lasted for three years. The jacks would come up slowly, and then when driving they would start to drop back down. Apparently this is caused by heating causing the fluid to expand. That would turn on the siren that warns if the jacks are down. It is extremely loud and will certainly catch your attention. The siren ceases to sound when the jacks are retracted, and the unit turns off. The panel is supposed to turn off when all jacks have risen. However if one is sticking down it will not turn off and unless you turn it off, eventually the solenoid on the jack gets hot and shorts out. That's it. That jack is now stuck. That caused us many problems. We saved the lives of several solenoids by turning off the recall light manually, but eventually we'd forget and another solenoid would burn out.The first fix came when we made a special trip to the factory. They replaced the springs that pull the jacks up, with heavy duty springs which it should have had in the beginning. They replaced the sticking jack too. According to some repairmen these jacks can bend when extended. However these are quite strong hydraulic jacks and don't bend easily. They are subject to road salt used in snowy areas. The chemical is carried into the jack where it corrodes the metal and the pitting causes a drag on the seals as they pass over it. This is a major cause of sticking jacks. If you don't turn off the system quickly enough, then they burn the solenoid out. After the repair they functioned for a while as they should have from the beginning. But they eventualy returned to the slow return and the siren and warning light linger on and on. Sometimes I help one or another of the jacks by prying with a stick. Sometimes it doesn't need it, other times it does. My dealer told me that the bottoms of the jack cylinders accumulate moisture and dirt making it difficult for the springs to pull the jacks upward through the seal. They only get worse with age. You will find that the friendly folk at HWH in Moscow, Iowa, are very willing to work to get your jacks working. Recently I visited the factory and watched them take apart my jacks and rebuild them. The amount of road material that gets by the seals is amazing. Unfortunately if we live in the north, it's something we'll have to live with. I also looked at the exacting production methods , the testing, and the innovation involved, and HWH certainly tries to make a quality product. I have replaced the shrill siren with a quieter ding-dong chime from Radio Shack ( Electronic Chime #273-071B). It sounds much better. You can make it quieter still, by placing a little black tape over it. If your RV has odour problems coming from the holding tanks, perhaps you could make good use of this product. After using it for the winter in Arizona, I found it eliminated our odour problems, even without adding odour preventing chemicals. My wife and I do a lot of dry camping. We like to boondock in the southwest of the United States in the winter. But evenings and early mornings can be cool. Using a furnace to take the chill off is a bit of overkill. It's also noisy and uses up your batteries. After searching for quite a while for a good location, I settled upon the wall of the cabinet at the entrance door. It was the only flat wall that was not affected by cupboard drawers, or the large slideout. It was also close to a propane source. 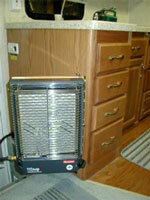 By hinging the heater on one side we were able to keep the heat from radiating directly onto a nearby chair. This unit has been great. It's quiet, and heats the living area just fine. It is necessary to open a window or vent a small amount for ventilation. So far it has worked well both in low deserts, and in high mountain campgrounds. When it's not in use we put a cover over it to keep the dust away from the catalytic surface. Do you have trouble levelling your RV? Tired of placing a little bubble level on the cupboard and having your wife call out the directions? If the answer to these questions is yes then you’ll be interested in RV Ezlevel made by the folks who invented Brake Buddy. This little electronic gadget can be placed on the floor of the RV where the driver can see the flashing red lights. Then just drive up onto your levelling blocks, or use the levelling jacks, and stop when the lights turn to green. It’s a neat, easy to use device. For more information contact www.RVInnovations.com or phone 1-800-815-2159. A Satellite dish has to be on target to collect a very low powered signal from a tiny satellite 20,000 plus miles above the earth. I recently was introduced to a product that should take the pain out of trying to level your tripod, level the dish, and aim the dish at the target. The product is called Align-a-Site. It is not electronic, and needs no batteries or wires. The Align-a-Site bolts to your dish, and once initially set up it eliminates the need to have the tripod perfectly levelled, in fact the base can sit on sloping ground. There is a small viewfinder that you can look through to make sure that the dish will have a clear view to the satellite without hitting tree branches or other objects. Installation instructions are easy to read and once correctly aligned all you need is the correct dish settings for your location, set the Align-a-Site’s azimuth and elevation settings, and align the dish. 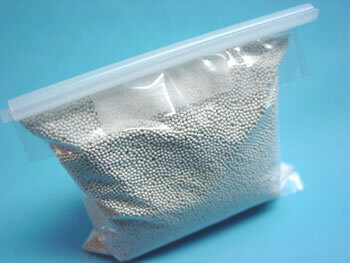 This has become a very popular product and is available on some dishes. For more information contact www.alignasite.com or phone 1-877-504-3473. One of the most difficult jobs in an RV is keeping the black water tank from smelling badly, and keeping the toilet looking clean. Blue Streak has been a proven product for years. If you are not using it now, perhaps you might take advantage of their Blue Streak Challenge. If you are not 100% satisfied, return the product for a full refund. A measured amount of Blue Streak chemical is injected each time the toilet is flushed. The chemical deodorizes the sides of the bowl, and enters the tank where it does an excellent job of keeping down the odours. One of its greatest advantages is that the holding tank only gets chemical when the toilet is flushed. You don't have to waste chemical by pouring in an entire bottle at a time. Sometimes you waste chemical this way especially when you get an opportunity to empty the tank before it's full. The initial package consists of a tank, some hose, and some fittings and a bottle of chemical. The easy to use instructions will enable you to quickly install the tank. You will be pleasantly surprised at the dainty odour that your bathroom will have after using Blue Streak. For more information contact www.bluestreakchem.com or phone 1-866-677-0994. Most big engine power plants in RV's are capable of producing more power than they do. Poorly designed exhaust manifolds, and exhaust systems do not allow the products of combustion to escape quickly thus restricting the power produced. Also these engines often gasp for air because of poorly designed air intakes. Without large quantities of oxygen there is poorer combustion than there should be. Banks Systems produce a PowerPack system that takes care of these two problems and solves another problem too..
To take care of the lack of air, they install a larger, smooth flowing air inlet and may increase the size of the filter box to reduce restrictions. The exhaust system gets the royal treatment. The original exhaust manifolds are replaced with smooth flowing tubes, one for each cylinder. This lets the exhaust gas flow quickly from the engine. Inspect the pipes leaving the regular engines. One popular engine/chassis manufacturer has built in a full loop before the gases can head for the exhaust pipe. That has to be an unnecessary restriction. Banks exhaust pipes are larger, and the muffler is huge as is the large exhaust outlet. I mentioned that this product fixes another problem. Ford and Vortec engines frequently have broken manifold bolts, maybe even a warped manifold, or worse, cracked. This is caused by differential expansion of a very hot manifold bolted to a cooler engine head that has been cooled by the engine circulating water. A gasket between the exhaust manifold, and the engine head restricts heat flow. On the Banks torque tubes the exhaust manifold is thicker for strength, and there is a metal to metal fit without the troublesome gasket. The result is the heat flows from the manifold to the engine where the heat is taken away by the water. This should result in long lasting exhaust manifolds and no broken bolts. For more information contact www.bankspower.com or phone 1-800-601-8072. Alert: I have had this system installed on two motorhomes. Both of the installations had the same failure. The welds that hold the heat shields failed and the shield fell off. When I discovered it, the heat had been doing a toasting job of the starter and the wires nearby. Today's RVs are loaded with electrical gadgets. In many cases the RV is simply a home, away from home. They have lots of lights, TV, VCRs and other video equipment. There is likely a coffee maker, a microwave oven, an electric toaster, and the kettle. And don't forget the computer. People owning these RVs want to turn on a switch, and everything works. This is fine when the RV is plugged into shore power. However, when these items don't work, chances are good that a solution can be found at PartSelect. Many of these same RVs are used for boondocking and the owners do not want to listen to a loud generator, nor do they want to offend nearby campers with the noise. This is where the ProWatt SW Sine Wave Inverter sold by Xantrex steps in. ProWatt SW 2000 is a powerplant in waiting. When you need power, it's there. 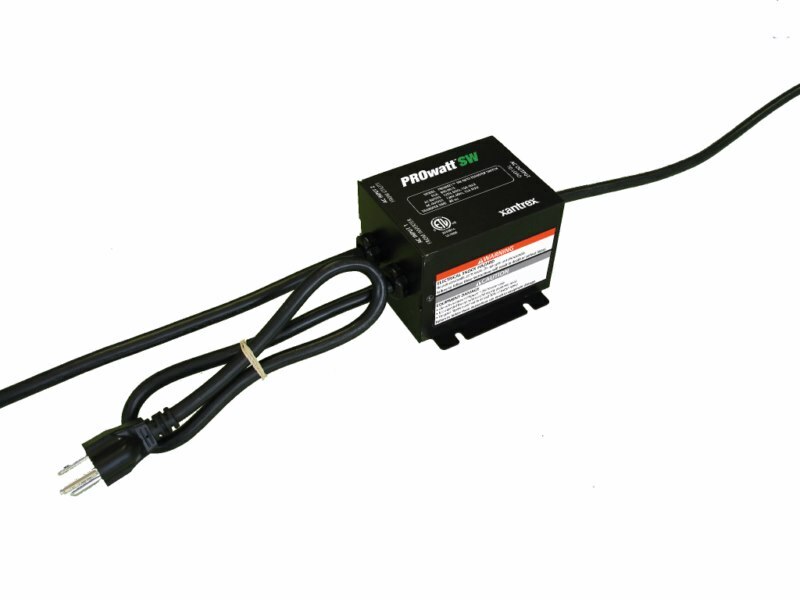 Two thousand watts of a powerplant ready to invert your 12 volt battery power into 120 volts for those items in your RV that require it. Now you can have your coffee ready in the morning and the neighbours won't hear it happening. Then you can make your toast with the regular electric toaster. Naturally all of this means that you will need a good supply available at your batteries and will need a way of charging them, perhaps with a set of solar panels. The ProWatt SW Sine Wave Inverter creates a true sine wave that is kind to your computer and other electronics such as variable speed drills, and microwaves. For convenience you can attach an optional remote switch panel so you can turn off the unit from inside the RV, if you wish. There is an off/on switch on the front of the unit. There are two ground fault protected ac outlets on the front next to the LED panel. There is also a USB port for running/charging any USB devices you may have with you. If you need less power you could look at the 600, or the 1000 watt models. A really great option for this sine wave inverter is the Inline Transfer Relay. If you have one or more 120 volt circuits that only receive their power when the inverter is ON, there is no useful purpose in having your batteries power those circuits when you have shore power or generator power. Set up the Inline Transfer Relay so it is attached to the inverter, and receives a live 120 volt input via a separate circuit, when you plug to shore power or turn on your generator. When shore power reaches the Transfer Relay, it will switch and pass the live 120 volt right on through to those circuits that were being fed by battery inverted power. It works like a charm, and when shore power is removed, normal inverting takes over. The process is well marked on the Inline Transfer Relay, and easier to understand than from the fact sheet. If you are looking for a cooler or freezer to keeps things cool when you are shopping these Dometic CFX units are great. These coolers come in several capacities, so select the one whose dimensions fit the space you have available. They have a compressor and run from 12 volt power when in your trunk, and can be plugged into the 120 volt mains when you are at home in the garage. They are ruggedly built and can be taken to the beach full of cool drinks for the day. Dometic serves the market with a complete range of air conditioners, refrigerators, awnings, cookers, sanitation, lighting, mobile power equipment, windows, doors and other comfort and safety products. Sometimes you see a product that looks really good. 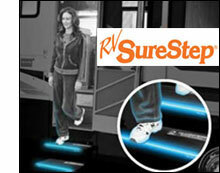 In this case it’s the RV SureStep created by the inventor of the famous BrakeBuddy. Have you ever opened your RV door in the dark and almost fallen out because the steps are drawn? Several people have done this and were badly injured. Unfortunately, it’s not an uncommon problem. Personal safety is very important when RVing. An injury caused by stepping out onto RV steps that are not in place can be more than inconvenient. It can be very serious. The RV SureStep, invented by the inventor of BrakeBuddy is a potential lifesaver. This product should be factory installed on all high RVs with steep steps. RV SureStep makes the step conveniently wider, too, something my large boots appreciate, and it also lights the edge of the step with a soft blue/violet light. With the light bar bolted to the edge of the step you can now see whether the step is where it’s supposed to be. No light means the step is not there! The light illuminates when you come near. Sensors on the top, and front of the step will turn on the light whether you open the door from above, or walk in front. The light bar uses small batteries, and considering the low current drain of the tiny lights, the batteries should last the camping season. Installing the SureStep is easily done by clamping the provided template to the step and then drilling 5 holes. I suggest you not drill the holes any bigger than the Tee-bolts used in the lightbar. If you order the lightbar and the rubber tread too, you’ll have to peel off the old tread first before using the template. To place the Tee bolts into the slot on the light bar you need to remove the cover at the end. While it’s off, you might as well fill the tube with six AA batteries as shown in the instructions. Put the cover back on, and shove the 5 bolts into the holes you drilled, put on the long nuts and tighten. 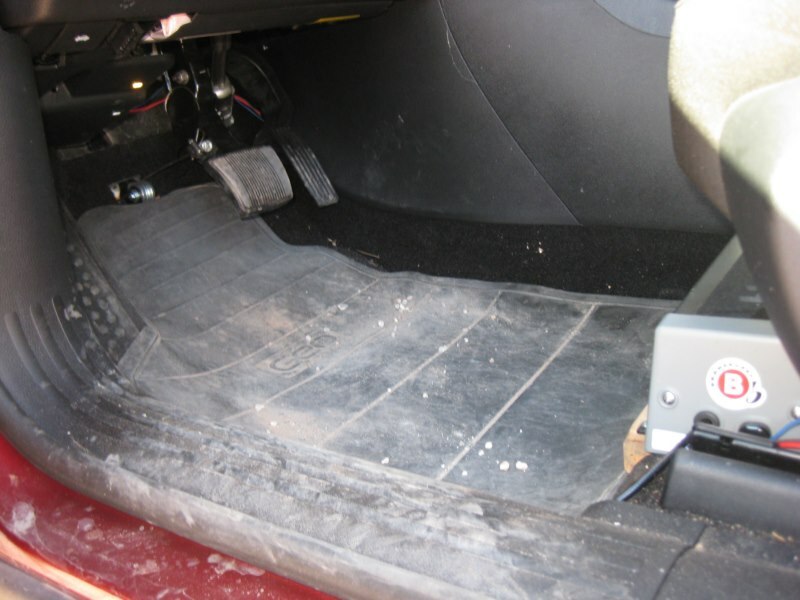 Place the new rubber tread onto the step which you’ve probably cleaned by now, and you are done. When it’s dark walk by the step and see how quickly the light comes on. It’s quite attractive too. A drawback is the fact that it uses batteries. NOTE: This was a really nifty product but is not now being produced. Perhaps it will return someday. The biggest problem I have seen has to do with battery life. Delorme is a company devoted to GPS and maps. It produces a wide variety of maps for the travelling public... from paper Atlas books, to cd/dvd maps accessed through your computer. I have used Delorme Street Atlas and Delorme Topo USA map products on my computer for several years. In recent years there have been other mapping products which have been introduced and after trying them I still feel that I like the simplicity of 'click and centre' your map much better than 'grab and drag'. Both Delorme products have proven their worth when searching for places to go and showing how to get there. Topo North America 9.0 consists of topographic maps covering the Canada and USA. You can view the countryside in 2D or 3D which means you can move along the map following a particular route and be able to see the mountains, plains or valleys along the way. You can angle your view from straight down to a lower angle which lets you view items more clearly. You can magnify the map to take in a large area or a small one which lets you focus in on small roads and details of interest. Street Atlas is used in a similar manner to the Topo North America except it doesn't have the 3D effect. I usually use the draw function to mark areas of interest that I want to find quickly again. A red flag shows up on those locations and you can label what it represents. Those travellers who have used the Earthmate GPS LT-20 with their mapping programmes will have found it very quick to find the satellites. 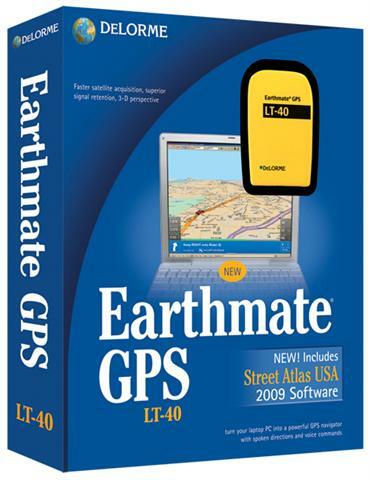 Now users of the Earthmate GPS LT-40 will be even more impressed with its speed and accuracy of position. It works well with the software to guide you to your destination and can give instructions by voice when you don't have a copilot with you watching the laptop map. If you wanted to avoid a busy downtown area you could draw a polygon around the area you want to avoid, and the the map programme is forced to find a way around it that maybe suits you better. Street Atlas USA 2009 PLUS DVD Software is a powerfull mapping software package that is loaded with point of interest and millions of phone numbers. It is possible, for example, to highlight a street, and find all the phone numbers along it so if a contractor was repairing the road, he could phone all those involved if the need arose. Winegard, a company long associated with feeding the TV world into your RV, has now created an Automatic Amplified Digital HDTV Broadcast antenna. Now you can tap into the local TV stations with an automatic aiming antenna. Install it on your roof, and set it to scanning. It comes up with locations of signal, and you use you built-in TV tuner to set them up. 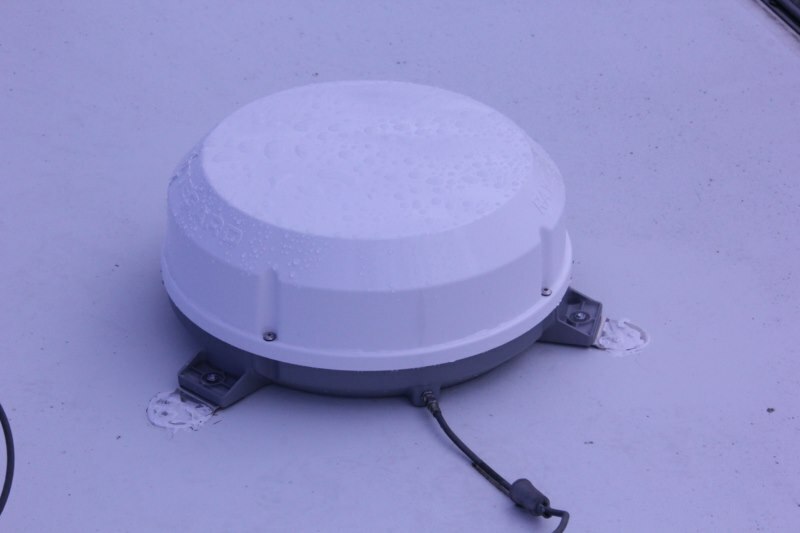 Its small dome makes it simple to place on your RV’s roof. If you want to add a low power light garnish to your ceiling, you could try the RV Chandelier. Its LED lights consume only 8.6 Watts. It lights up the room, but saves the draw on your batteries, this being especially important if you are boondocking. If you have a power vent in your ceiling, then it’s simple to remove the old trim, and connect to the power wires, and slip on the new trim containing the lights. I recently came in possession of a terrific platform step that can be used at the base of your regular RV steps. Often times when you park you will find that your lowest RV step hovers high above the ground making it difficult to step to the ground, or step up to it if you are entering the RV. Another great feature is the size of the platform step. Its wide top makes it an excellent landing step, even if the RV steps are not high off the ground. My wife, who had two knee replacements finds it great because it feels solid and not likely to tip over. I like the additional features. 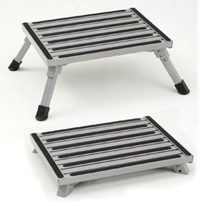 It is strong, light weight, and the legs fold easily to make it an easy package to store.. Stromberg Carlson Products manufacture this platform step along with steel and plastic ones.